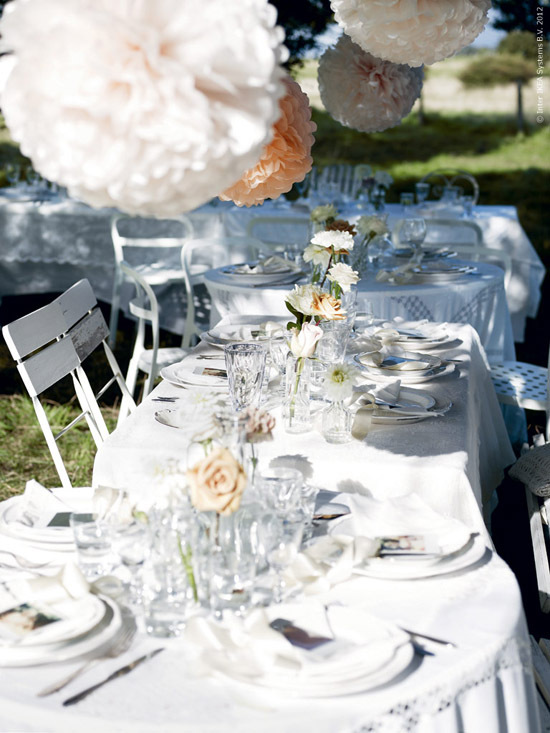 The folks at Ikea's blog, Livet Hemma sent over these pretty pictures today that I couldn't pass up. Apparently it's Mother's Day there this weekend - (and people like to get married this time of year too - hence the photo shoot). 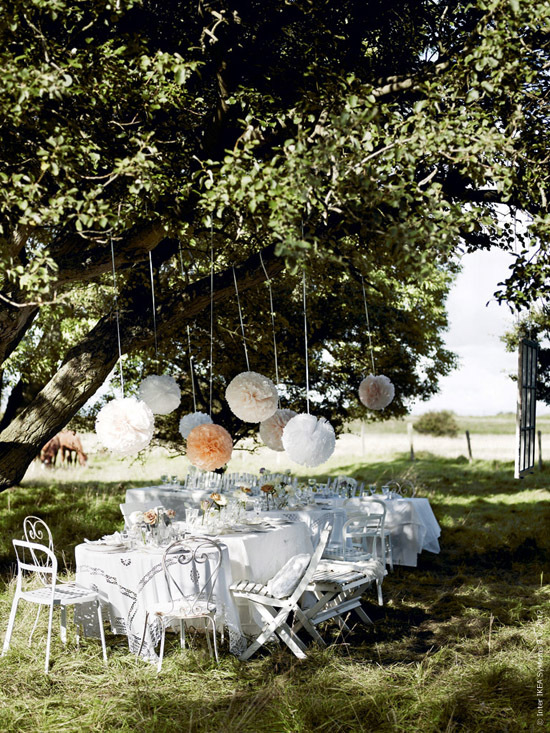 Love the idea of a quaint gathering like this outdoors in the field with poms strung randomly from the trees. 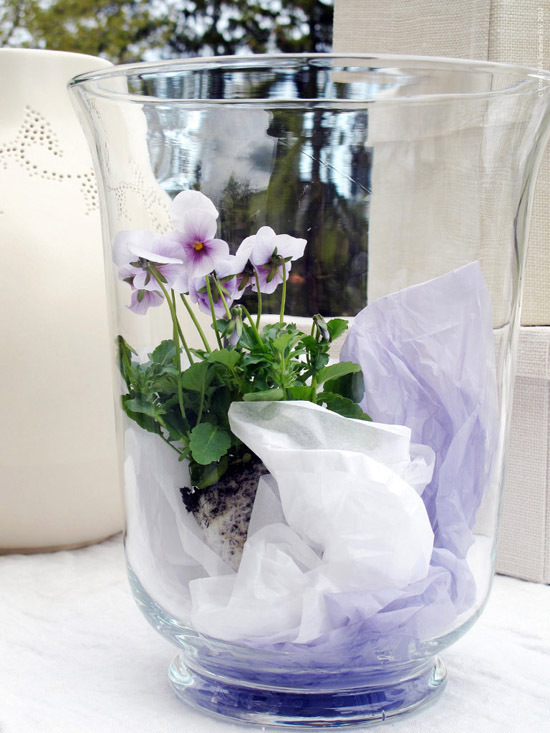 (Purple flowers in ÄLSKLIG vases, Photographer Nina Broberg). 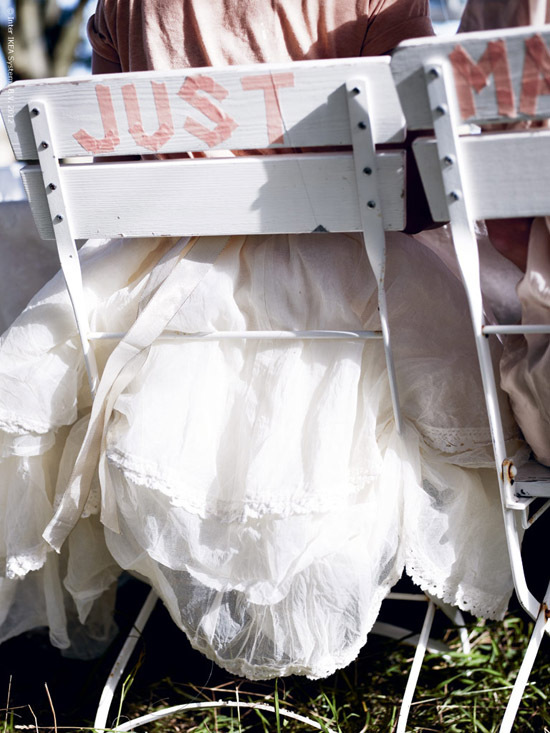 cute washi tape "just married"
it's all OH SO PRETTY! Love the easy going feel of this lunch. I know of the perfect Australian South Coast venue for it, now to find an occasion.